Far Rockaway has some of the lowest voter turnout rates in the entire city. Many residents are absent from the poll due to political cynicism that stems from years of governmental neglect, a general sense of apathy and the belief that their vote doesn’t matter. Our Far Rock the Vote campaign is a powerful non-partisan voter registration, education and mobilization program. 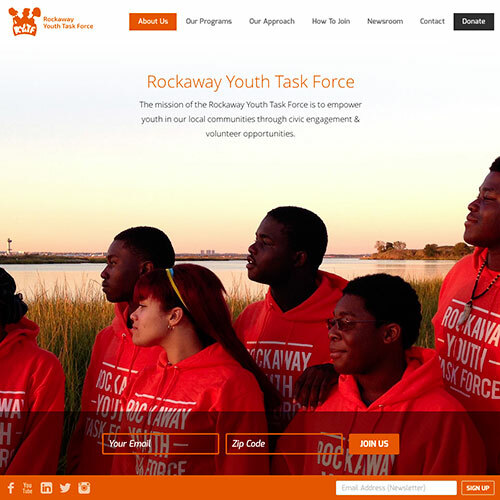 This project utilizes highly effective phone banking and door-to-door canvassing techniques by RYTF members to increase civic participation on the Rockaway Peninsula. 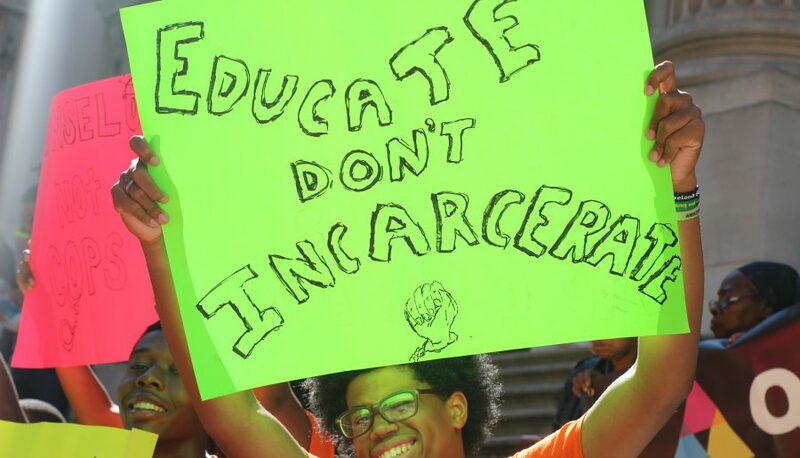 The School-to-Prison Pipeline is the system of indirect and direct processes which pushes young people out from the school system and into the juvenile justice and criminal justice systems. 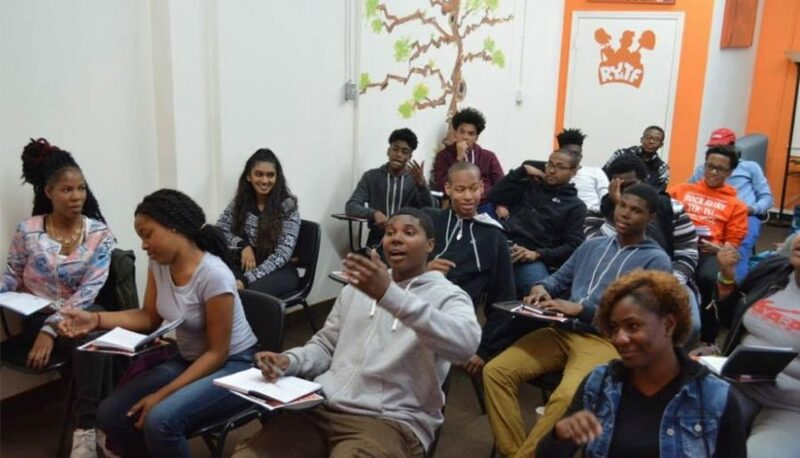 In New York City and across the country, we see the School-to-Prison pipeline enacted through the overuse of suspensions, metal detectors, zero tolerance policies that involve the police in minor incidents, school based arrests, referrals to juvenile detention, and incarceration. RYTF successfully advocated for the introduction of Participatory Budgeting to the 31st Councilman District, which covers portions of the Far Rockaway Peninsula. Participatory Budgeting allows residents to decide how to over $1 million dollars of taxpayer money. Community members exchange ideas, work together to turn ideas into project proposals, and vote to decide what projects get funded. 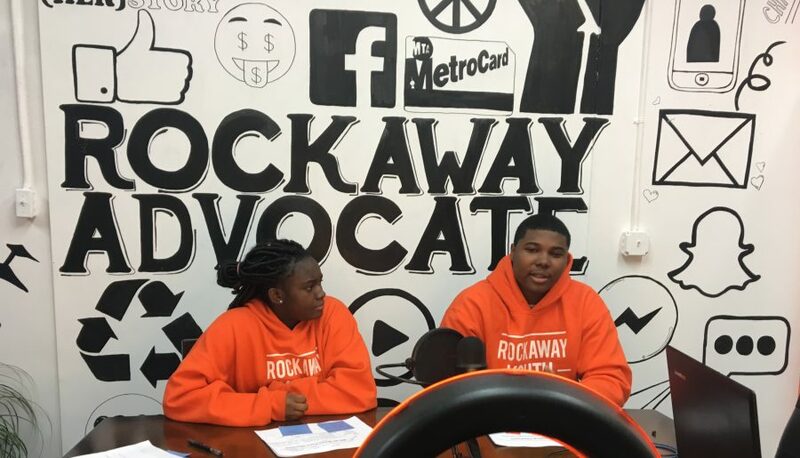 RYTF has fought to secure over $800,000 in capital improvements to Rockaway high schools through Participatory Budgeting. Police accountability involves holding both law enforcement agencies and individual police officers responsible for effectively protecting our communities. We are fighting for reforms that will promote community safety while ensuring that the NYPD protects and serves our communities. 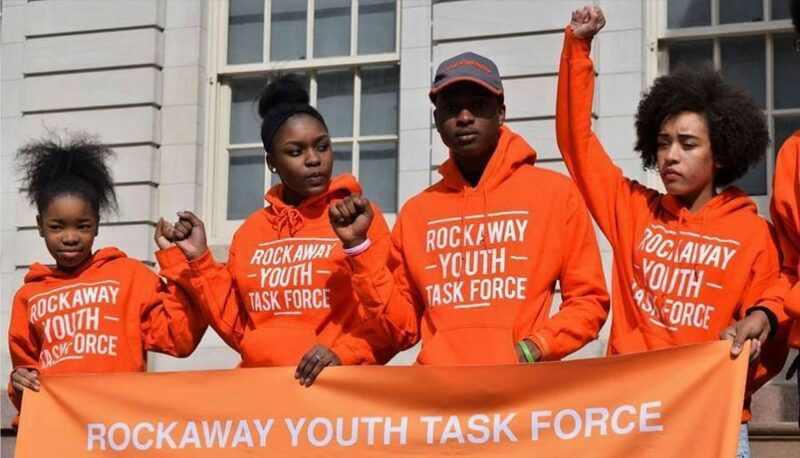 RYTF organizers have the ability to respond rapidly – through direct action and media commentary – to police actions that affect youth and young adults within the Rockaway community. At the same time, we work on long-term solutions that address the culture of policing and the policies that enforce it. Food Justice is the act of communities exercising their right to grow, sell, and eat healthy food. Healthy food is fresh, nutritious, affordable, culturally appropriate, and grown locally with care for the well being of the land, workers, and animals. People practicing food justice leads to a strong local food system, self-reliant communities, and a healthy environment. RYTF’s transformative Food Justice work began as a response to the widespread damage to the Rockaway peninsula after Superstorm Sandy, resulting in the shuttering of many small stores and supermarkets and exacerbating Rockaway’s status as a federally-labeled food desert. Lack of healthy food options in the wake of this destruction – particularly for lower income families and individuals in the community – prompted RYTF members to develop sustainable solutions for access to locally grown, low-cost fresh produce that could be easily available to residents. 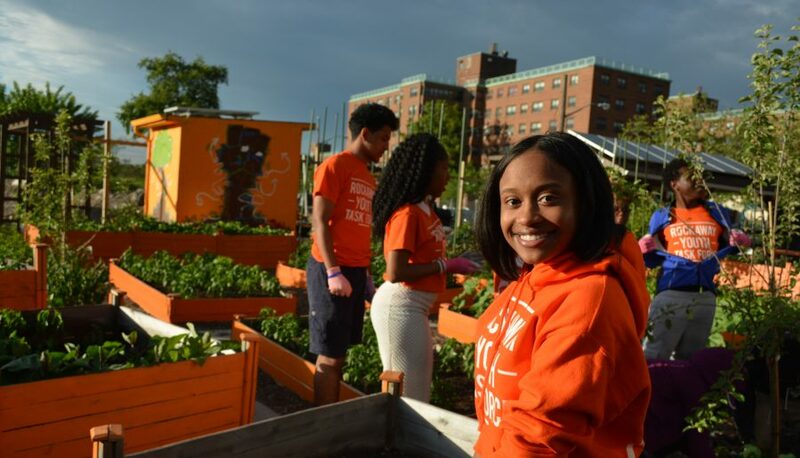 The result was the successful launching of a youth-led Farm Stand and the building of one of the largest youth-run Urban Farms in NYC on an empty half-acre lot secured through the NYC Parks Department. 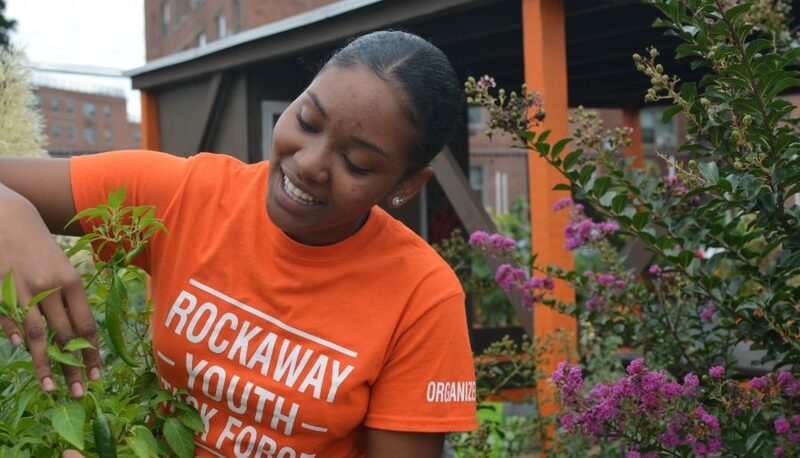 The Rockaway Youth Task Force continues to grow and sustain one of the cities largest youth led Urban Farm & Community Garden. RYTF’s staff is committed to securing resources to ensure that the space will be maintained and is able to provide healthy food to the community in addition to being a space for food justice education. Goal # 2: Job Training & Economic Development. The RYTF Urban Farm and Community Garden provides a space for residents to grow their own food. RYTF provides training to members to educate the community on growing produce. In addition, the Youth Market, a weekly farmers market jointly host with Grow NYC serves to influence the economic development of the Rockaways. CORE serves as RYTF’s primary education vehicle. CORE is an 10-week social justice course that teaches the basics of movement building and advocacy. Topics include the Civil Rights Movement, Rockaway history, local government and civics, and campaign development. CORE is a prerequisite for membership in the Rockaway Advocacy Program. General members are encouraged to enroll in the course to learn more about community organizing and how to become more involved in local advocacy issues. organizers create and lead campaigns to fight for the issues that are important to the communities they represent. Often, the stories of young women of color and their communities are ignored in mainstream media. 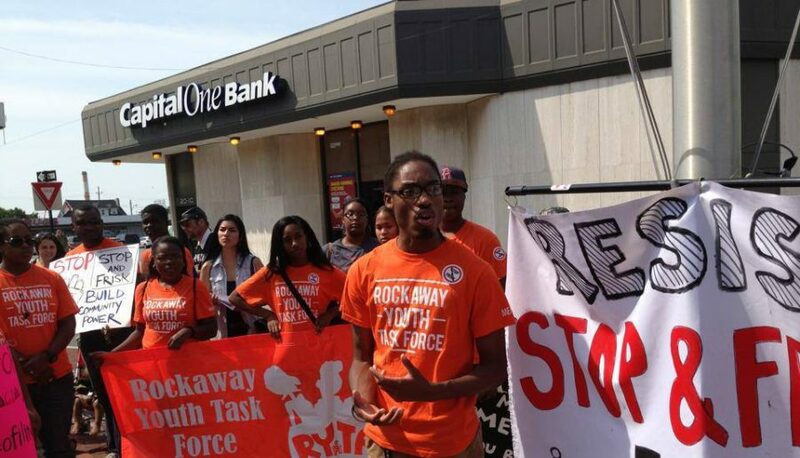 As an extension of our organizing, the Rockaway Advocate is a citizen journalism project. Participants in the Rockaway Writ[h]ers program publish the Rockaway Advocate which is available online and in print. 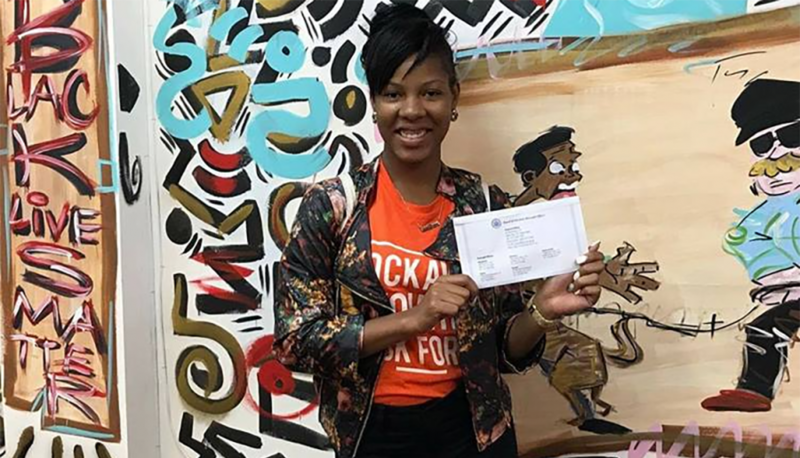 It serves as both a platform for our advocacy work as well as a pathway for young women of color in Rockaway to take back their own narrative in the media while gaining concrete, transferable skills. It also allows us to offer media commentary on current events while giving participants a platform to dissect and share information in our community.